Collaborative practice is a form of dispute resolution designed to help a divorcing couple achieve a positive resolution that minimizes negative economic, social and emotional consequences a family often experiences during a traditional adversarial divorce process. In order to accomplish this goal, three independent disciplines — attorneys, mental health professionals and financial specialists — work as a team to integrate the legal, emotional and financial aspects of divorce. My role within this interdisciplinary team is divorce coach or child specialist. Identify and prioritize each person’s concerns. Work collaboratively with the couple, their attorneys, and other professionals to enhance communication and reduce misunderstandings. 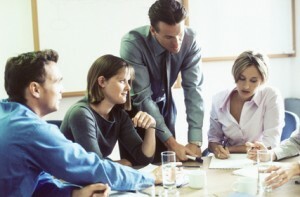 Direct their best efforts toward a collaborative resolution. 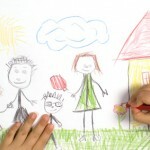 Give the child an opportunity to voice his or her concerns about a divorce. 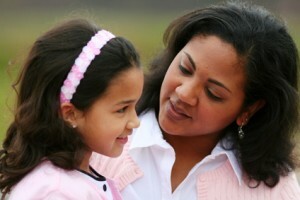 Provide parents with information and guidance to help their child through the divorce. Give information to parents and the collaborative team that will help in developing a co-parenting plan. I practice the co-mediation style of divorce mediation in which two mediators work as a team with both spouses during every mediation session. I find that the co-mediation approach affords couples more balance, comfort and professional attention than solo mediation. Clients also benefit from the skills of two mediators with varied backgrounds in mental health and law at a cost comparable to that charged by solo mediators. In addition, my mediation team consists of a male and female mediator, thus preventing either client from feeling misunderstood due to “gender bias,” or gender-specific communication styles. Individual. I provide psychotherapy for older children, adolescents and adults. Some of the common problems that I treat include depression, anxiety, relationship problems, bipolar disorder, attention-deficit disorder, personality problems and substance abuse. Couples. I offer therapy for couples facing challenges in their relationship and work with them to analyze problems and create a plan for moving forward together. Group. I conduct a weekly, 75-minute group comprised of clients with anxiety, mood disorders or relationship problems. The group engenders a safe, trusting environment from which clients receive meaningful feedback. Evaluations. I provide DWI, substance abuse, and other forensic evaluations when there is a potential substance abuse or mental health issue involved.